Charlie Medeiros ‘ll teach you how to dehydrate and make the tea leaf soursop. other day I received an email from a doctor friend of mine, anesthesiologist and professor of Portuguese, containing an article by a naturalist doctor talking about the various benefits of soursop leaf tea including as a potent inhibitor of cancer cells, among thousand other things. then I’ve been in Google searches (I am addicted to Google searches) to see how many links pointing to the title of the article, and found that they are already 6,410 links, most with the same story posted on various blogs and forums, providing a great debate on the subject. Some say it is all spam from someone interested in selling herb extract, others give testimonies of healing, finally, initiated the pendenga, nobody taught how to make the blessed tea. following I leave the firstfruits of all allopathic western medicine remedies are developed based on extracted natural elements, mostly from our vegetable known. Another thing that we should not forget, and then we’re playing a very dangerous and delicate subject, cartels are the chemical and pharmaceutical industries that are not at all interested in findings that may threaten the stratospheric profits that the ills of the world receive them daily. Anyway, ante teach how to process the leaves to make tea, I’ll post a video here with a story appears in the Globe reporter, with testimonials from people who have benefited from the herb, and an academic article here, which takes away all the doubts about the plant. To dehydrate the leaves of the soursop, in any amount, do the following: Collect the most tender leaves and leave them in the sun, preferably in the morning, between 9 and 10 hours, being careful not to let them burn. When are curling, take them out of the sun, put them on a platter aluminum and take them to the preheated oven for five minutes. worth remembering that first of all you should leave the oven on for 5 minutes over high heat, and time to put the leaves should download the key to a simmer. minutinhos Five then check with the tip of a fork if you are dehydrated, popping. Turn off the heat and let them rest in the heat. After cooling, take the leaves and crush them with your hands, then are wrapped in a glass bowl. Tea Preparation: Put a quart of water to boil, when it boils, turn off the fire and pour a spoonful of soup shallow foil and let steep until cool. You can use green leaves, freshly picked too. 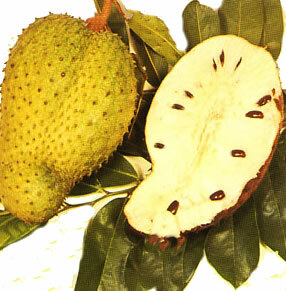 Put a quart of water to boil with five tender leaves of soursop. After boil let it cook for five minutes. Turn off the heat, let cool and take in small portions, type half cup three times a day. I hope I have helped a lot of people that went unanswered about how to make the soursop leaf tea, broken and pharmaceutical companies and pharmacies opportunistic because soursop born until middens here in the northeast.